Bethlehem, Bloemfontein, Boland, Cape Metro, Central Gauteng, Cosmos, East Rand, Highveld, Lowveld, Pretoria, Vaal, Welkom, West Coast, Western Gauteng. View the directory of participating shopping centres. SnapScan is a new innovative mobile payment App on a smartphone. It provides a cashless, card-less payment app that consumers can use at thousands of merchants across South Africa or to make donations to CANSA. 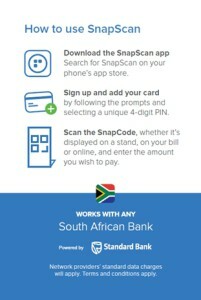 It can be used for customers of any bank in South Africa (not just Standard Bank). It serves as an alternative to traditional card machines with lower costs. It eliminates the risk of cash handling and works the same as an EFT but with added features. What costs do donors pay for SnapScan? 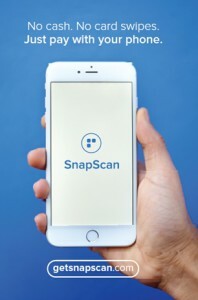 SnapScan is completely free for users to download and use. Network operator data charges do apply, but the app is less than 10MB in size, depending on the device you use. There are no additional costs for the donor for each payment. Search your phone app store for the SnapScan app, or visit http://www.getsnapscan.com for links to the Apple Store, Google Play and Blackberry World platforms. Sign up and add your card by following the prompts and selecting a unique 4-digit PIN. 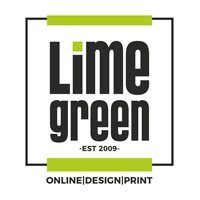 Open the SnapScan app and tap on “Scan” to scan the SnapCode (a QR code, or square barcode) displayed in the shop, at the point of sale, on the invoice or website where you want to pay. This identifies the shop and prompts you to enter the amount you wish to pay. Enter your PIN to secure and complete the transaction. Show your proof of payment displayed on the screen to the person assisting you at Shavathon. Snap | Pay | Show and Go! Will SnapScan work with my card? As a broad rule of thumb, our app works with all e-commerce enabled cards, including both Visa and MasterCard. When you add your card details on the app, it automatically tests the account details and produces an error message if the card is not supported. Can I use my debit card to pay with SnapScan? It depends! If the debit card is a MasterCard or Visa card, has a CVV number on the back and is enabled for online payments, then it will work with SnapScan. Please note that many banks automatically disable debit cards for online payments, so you may need to contact your bank’s card division to enquire further. Yes! SnapScan is safe to use on multiple levels: The app requires a PIN to be entered before any transaction can be completed. This prevents anyone who has your phone from making transactions, as your PIN should be known only to you. Your card details are also encrypted and stored safely and securely on your phone. Even if your phone is stolen, nobody will be able to see or access your card details.